With the motto “With Father, for Life,” we went on pilgrimage from Holy Family Parish in the Bahía Golondrina neighborhood, Ushuaia, to Bahía Lapataia, where there is a wayside shrine of our Lady of Schoenstatt. The procession ended at approximately 5:00 pm with a celebration of the Word and the distribution of the Eucharist, fifty people participated. 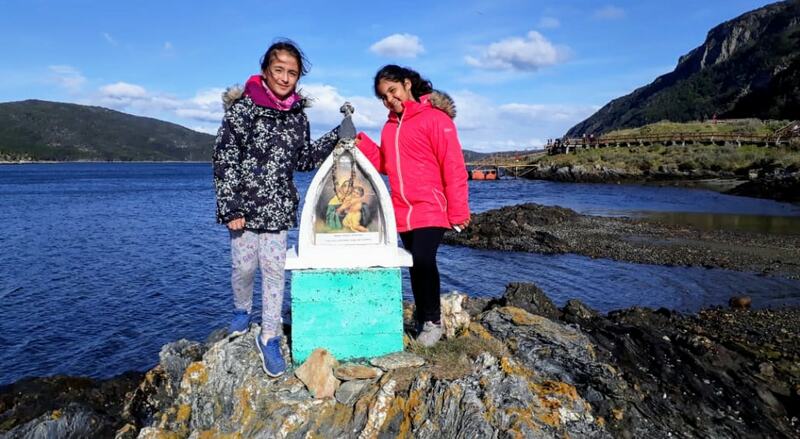 Children, youths, and adults from Ushuaia’s parishes participated in the pilgrimage, and there were even people from Río Grande, accompanied by Deacon Juan Carlos Farías, from Our Lady of Mercy Church. At the beginning of the walk, we received a “blessing of sending forth” from the pastor of Holy Family, the Fr. Aldo Moschetta. In 2011, three of the city’s pastors called us together to integrate the inter-parochial council. 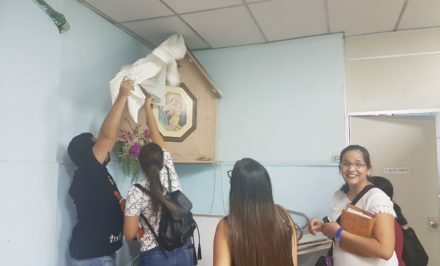 There to our great joy, the bishop appointed our pilgrimage with Mary, as an important time in the Jubilee year for the 50th anniversary of the Diocese of Río Gallegos. 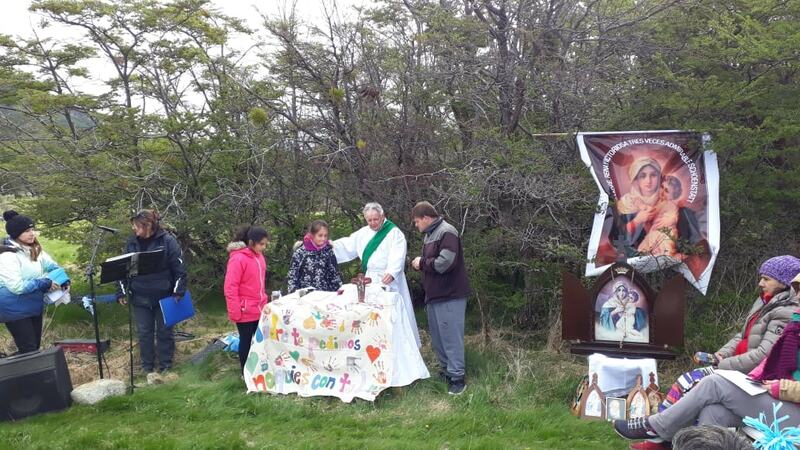 On September 15th, in the Villa Ballester Shrine, Bishop Miguel Ángel D’Annibale, who was the bishop of Río Gallegos and Tierra del Fuego until a few months ago, recalled that he had celebrated Mass in the earth’s most southern Wayside Shrine, “in the open, yes, but with four jackets and a down vest,” due to the area’s wind and cold. At that time, we began the organization of the pilgrimage with certain questions and doubts, but always trusting that Mary would always guide us on the right path. 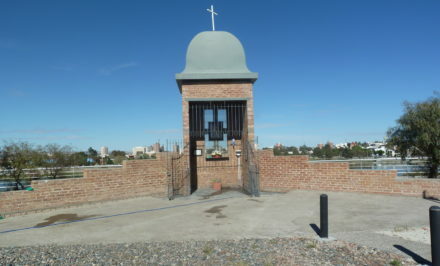 In the Year of Father Kentenich, we proposed to carry out concrete works, taking into account several of Fr. Kentenich’s thoughts and advice. We began our mission with hearts placed on his heart. 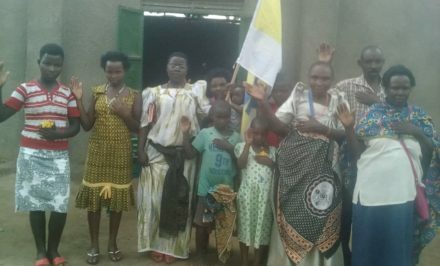 We visited families with a catechesis of the Pilgrim Mother, and we also coordinated Marian celebrations in the neighborhoods on the periphery. We also united with other Movements and charisms, taking God and Mary’s love to homes. Moreover from that time every 18th, we prayed the illuminated Holy Rosary without interruption, offering capital of grace to our beloved MTA. As a Schoenstatt Family, we have a great apostolic life, carrying out conferences and diocesan events, such as the youth mission, which gathers more than 150 youths every year. 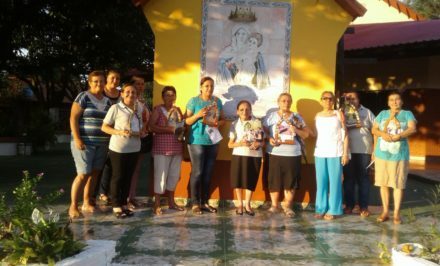 Our contribution is important, since we are the only Marian Movement present in the southern part of our country, and we are proud in taking our Blessed Mother out on the mission. 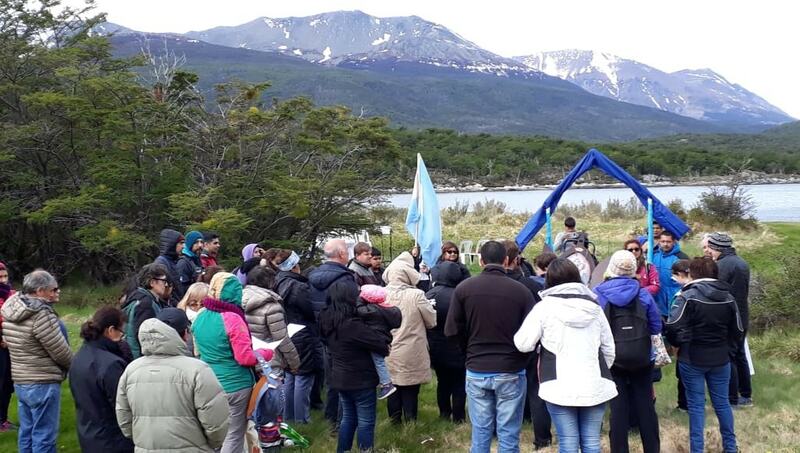 We thank God for all the brothers/sisters who accompanied us on these pilgrimages, and especially the Schoenstatters from Río Grande and Río Gallegos.